New Delhi-based EaseMyTrip is reportedly looking to float its maiden public offer. According to reports, the online travel website’s upcoming IPO may mobilize up to INR1,500 crore (INR15 billion). EaseMyTrip’s corporate parent Easy Trip Planners is believed to have started discussions with investment banks to launch the public offer. EaseMyTrip IPO will mark the first listing of a travel portal in India. Although reports have indicated EaseMyTrip IPO may be launched in the second-half of the current year, it is unlikely since the company is yet to file draft prospectus with SEBI. After filing prospectus, the regulator will go through the file and may ask for more disclosures, if required. Once SEBI approval is secured, the company can launch the IPO anytime over the next 12 months. Failing to bring an IPO in this timeframe will require the company to repeat the process and file a new draft prospectus. Established by siblings Nishant Pitti and Rikant Pitti in 2008, EaseMyTrip acts as an aggregator of deals on flight booking, hotels and holiday packages. The company is currently fully-owned by the Pitti family and going by the initial reports, it may be valued anywhere between INR6,000 crore and INR7,500 crore. Pitti family may trim its shareholding in the upcoming IPO. The company competes with the likes of MakeMyTrip, ClearTrip and Yatra. Incidentally, segment leader MakeMyTrip is a listed player in the US. Most of these competitors follow a retail-centric business model but EaseMyTrip is focusing more on travel agents and corporate clients. Gearing up for the IPO, the company has also lowered spending on advertising and promotions. This has pushed the company into profits at a time when of its peers are in losses, including MakeMyTrip. In FY2017/18, EaseMyTrip managed to achieve a top-line of INR2,400 crore, getting as much as 48% from travel agents for flight bookings. The B2C (Business to Consumer) segment contributed 30% to revenues while corporate sales and meetings, incentives, conferencing, exhibitions (MICE) accounted for another 12%. The upcoming IPO of EaseMyTrip may act as a catalyst to revive India’s primary market which has been subdued for the last six months. In the second-half of the calendar year 2018, only seven IPOs were launched, including the ill-fated public offer of Dinesh Engineers which was withdrawn due to poor demand. 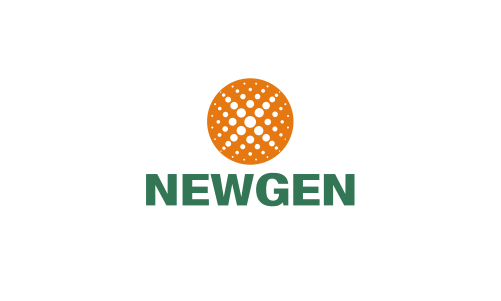 Newgen Software IPO Review: Is it really peerless?